Want a piece of wearable art that is uniquely different and one-of-a-kind? Do you wish to illustrate your character's backstory with a piece of narrative-based costuming? Are you looking for a handcrafted article of clothing or leather accessory that suits you and your lifestyle more than any premade piece could? If this sounds like something that interests you, let's set up a consultation. 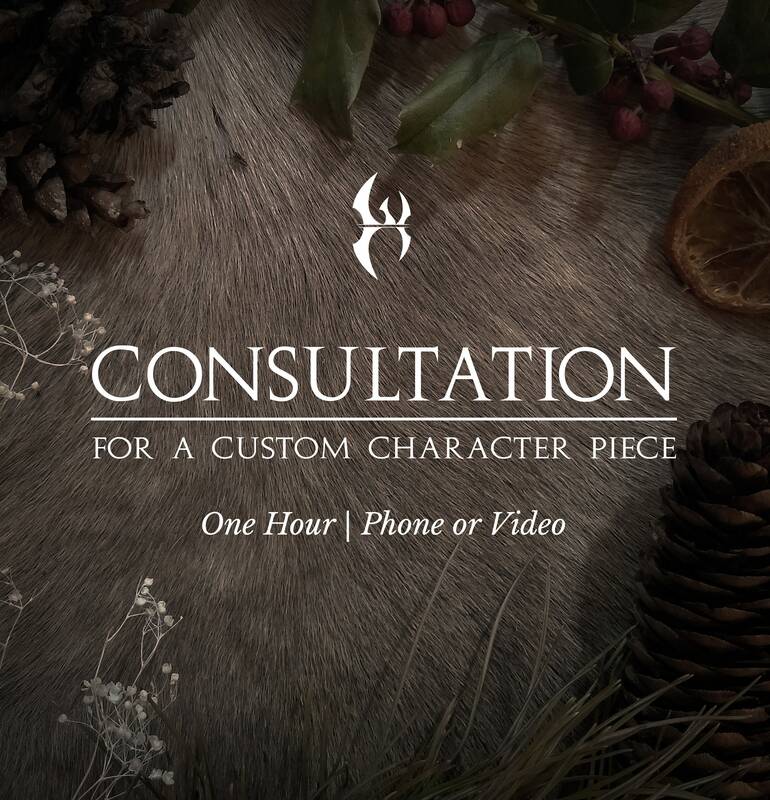 During this consultation, we will discuss (in detail) your character, story, or lifestyle as it relates to the piece. We will cover design elements such as : utility, material, color, symbolism, story, etc. We will also cover more practical elements, such as: Price range, measurements, timeline, etc. After your consultation, I will create two versions of a design, at two different price points. You can then select which design you wish to proceed with, and we go from there with your Custom Character Piece! This listing is for a $40 Consultation that includes an hour long phone call or video call (using Google Hangouts) at an agreed scheduled time. I also offer a $30 Consultation that includes a 30 minute long phone call at an agreed scheduled time. If you think you'd like to go in-depth into the story of your character or make this piece as personalized as possible, I urge you to choose this $40 hour-long Consultation. My hours available for Consultations are Fridays and Sundays from 10:00 EST to 18:00 EST. After purchasing, please message me with your availability within those hours. I look forward to hearing your story and helping to bring it to life!